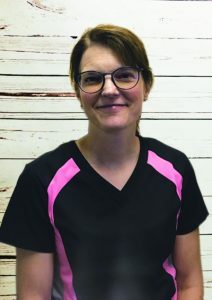 Tanya joined the team in 2017, she has over 15 years experience as a level II dental assistant. Graduating from Georgian College she first became interested in dental through her family dentist as a teenager. She loves the ever changing role an assistant has as part of the team. A Muskoka native, she loves spending time with her husband Steve, boys Tyson and Carter, and puggles Athena and Leonidas. Avid sports enthusiasts (they can always be found at some hockey rink), she enjoys all Muskoka has to offer from skiing to rowing. After many years working in the health care field, Tina has expanded to dental assisting. 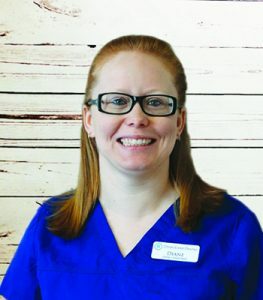 In December of 2018, she graduated from the Georgian college, dental assisting program, making the dean’s list. She is now a Certified Level ll Dental Assistant. At Dentistry in Gravenhurst, Tina is busy working chairsideassisting the dentist and hygienists. It’s her goal to make your dental visit as pleasant as possible. She feels the best way of achieving this is by displaying professionalism, compassion and a warm interest in her patients. Tina enjoys spending time with her husband and three children, sharing in volunteer work, and enjoying the outdoors. Deirdre is a level two dental assistant who graduated from Georgain college in 2015. She is a proud mother of a 10 year old daughter. In her spare time she enjoys spending time in the outdoors enjoying what Muskoka has to offer. Deirdre loves being able to provide compassionate dental care for her patients. Michelle has close to 16 years experience in the dental field. Prior to completing her dental hygiene training she also completed her dental assisting certification and bachelors degree. Michelle has certifications in orthodontics , laser therapy and is a certified implant auxiliary with the American Dental Implant Association. When not working in dentistry, Michelle enjoys spending time with her two children or riding her road bike. Cindy has been in dentistry since 1983. She has been a skilled caring Hygienist for 32 years and offers a wealth of knowledge in her field. 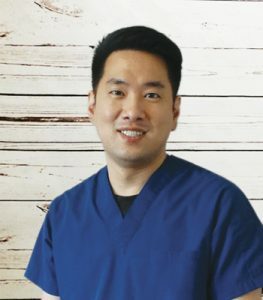 Continuing education has been an important part of her career she has and will continue to routinely update and refine her skills in order to provide her patients with optimum care. You will find Cindy on her property on the lake where she enjoys the outdoors, including her new paddle board.